young patients as well as their families. Alta California Regional Center (Alta) is the one agency in the community through which people with mental retardation or other developmental disabilities and their families are helped to make use of essential public and private services to meet their unique needs. Alta is one of a network of 21 regional centers in California established by the Lanterman Mental Retardation Services Act of 1969. Alta is a private non-profit corporation working under contract with the California Department of Developmental Services. Easter Seals Early Start Developmental Services (ESDS) and Nonpublic Agency Program (NPA) strive to improve the quality of life of children through a wide variety of innovative and individualized therapies. Easter Seals prides itself on its highly qualified and motivated staff. With devotion and personal attention, children thrive in the environment created for them. Offering support and information to families of infants, children and young adults who have experienced prenatal stroke, childhood stroke, infant stroke, perinatal stroke, neonatal stroke or inutero stroke. Do you know what you should about Special Education? Links to the best special education sites on the net! Providing resources and support to families of children with special needs in six counties in Northern California including: Sacramento, El Dorado, Yolo, Placer, Nevada and Alpine. The easy fit shoe! Many families have found HatchBacks Footwear to be sized well and convenient for wearing with AFO's. Click below for more information. The rhythmic movement of the horse, the warmth of its body, the supporting hands of the volunteers, and the love and joy felt in the arena are Ride To Walk. Ride to WalkRide To Walk is a year round therapeutic riding program for handicapped children, which coordinates physical and emotional therapy into a unique experience. The program is specifically designed to address the needs of children who are neurologically handicapped. The goals of the program are based on therapeutic intervention to achieve increased balance and control, improved language and socialization skills while enhancing self-esteem and providing exercise and enjoyment. The program offers weekly riding sessions. 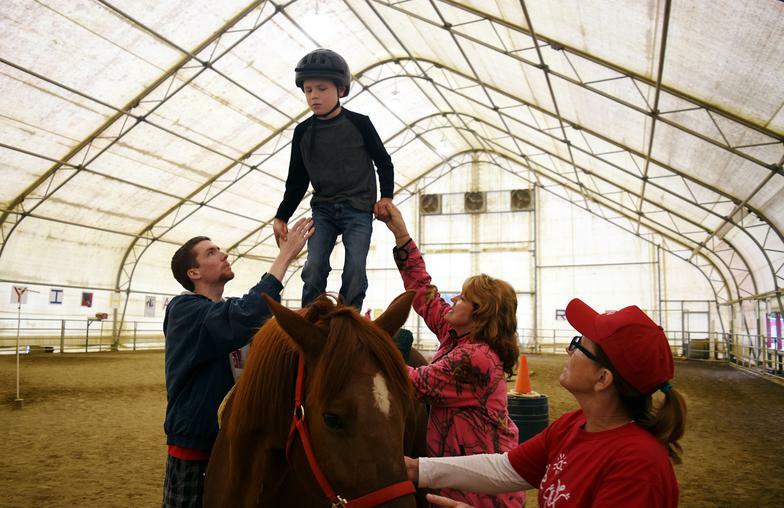 Each child ride for one thirty minute session per week under the supervision of a trained riding instructor, therapist and two to three volunteers. Each session is individually designed to meet the special needs of each rider. 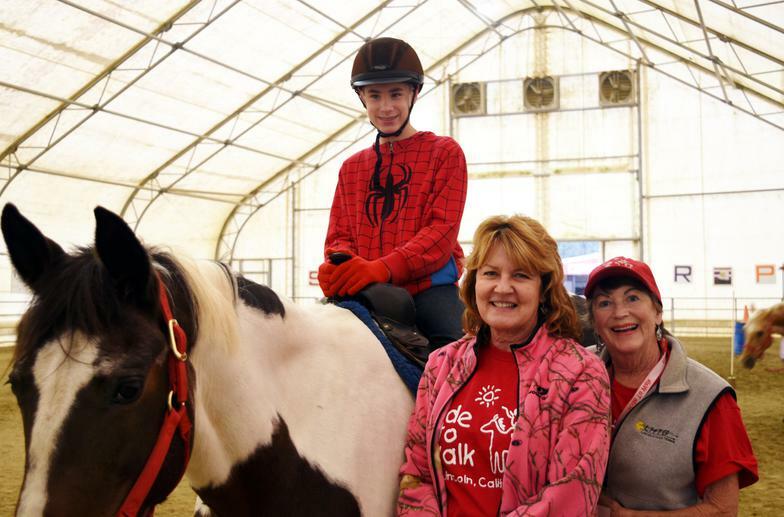 The excitement of mastering new skills, the social interaction with other riders, volunteers and staff, and caring for the horses, are all vital components in the success of the Ride To Walk program. The most important ingredient in this success is our volunteer staff that make it possible to see the delighted smiles of the Ride To Walk children.